Landscapes WA offers a team of professionals with capabilities in the fields of project management, engineering, construction, estimating and horticulture. The team at Landscapes WA are committed to designing work that will be there for life; timeless pieces of landscaping for people to use and enjoy for years to come. 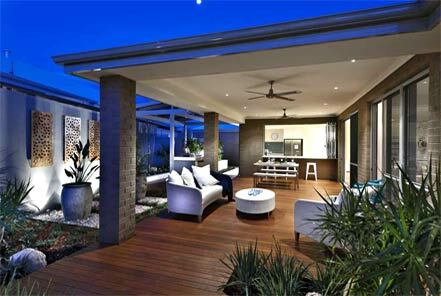 Landscapes WA will assist you with the selection of suitable species of lawn for your home in Perth, WA. It is important to choose the right lawn for the right application. Important factors that need to be considered include the level of sunlight, the soil type, and traffic type, level of maintenance desired or supplied, existing varieties and climate. Enhance your corporate organization’s culture and identity with a beautiful corporate garden from our commercial landscaping department. Professional yet elegant landscapes are a necessity for facilities, buildings, or corporate headquarters. Business owners and property managers seek corporate landscape gardening to add an aura of professionalism to their property. At Landscapes WA, we provide corporate landscaping services to new or existing commercial facilities, buildings, shopping centers and malls, universities and corporate headquarters. 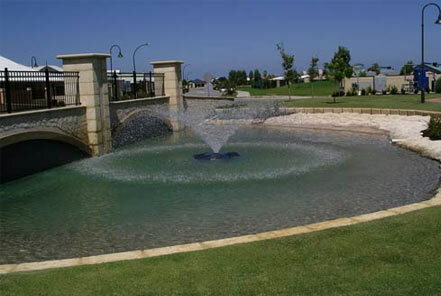 Landscapes WA provide a full spectrum of maintenance services for all your outdoor areas. 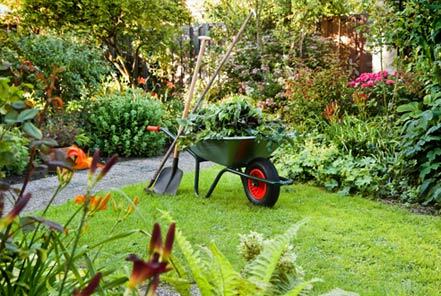 Lawn mowing, reticulation repairs, tree surgeon work, seasonal fertilizing, & tree pruning are just some of our landscaping maintenance services. Enquire today – we are sure we can help. We build stunning concrete swimming pools. 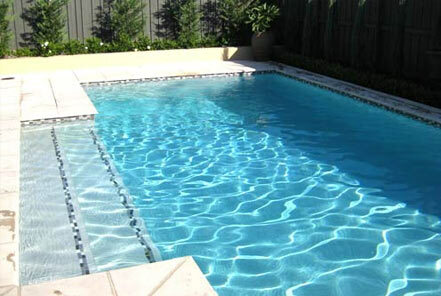 Create a relaxing haven in your backyard today and enjoy a beautiful pool to suit your home and lifestyle. Want to enjoy romantic evenings with your loved one by the beautiful poolside? Want to throw an awesome pool party at the sparkling pool in your yard? Landscapes WA design and build exclusive swimming pools with your recreation and relaxation in mind. Custom in-ground spa pools transform your backyard into a therapeutic haven. With your personal spas, you can spend some peaceful moments alone or exciting times with your dear one with some love in the air. Landscapes WA gives you a way to enjoy this personal luxury with some soft music and hydrotherapy. 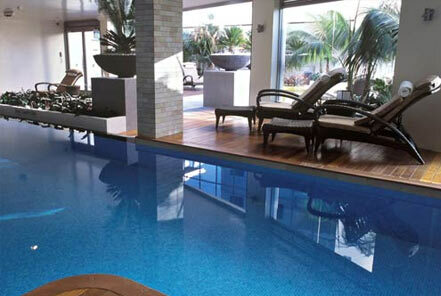 Quality spa pools let you soak and relax in bubbling waters, accommodating even your family and friends. We combine the elements that make a great kitchen with those that make an aesthetic outdoor landscape. 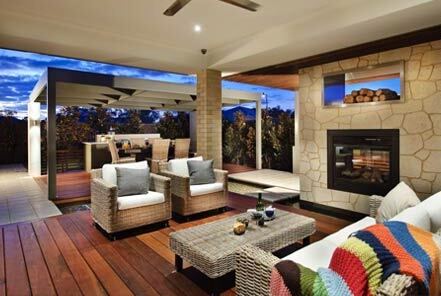 Your outdoor living space can serve as a great place to entertain your family and guests. Extend your living area of the house into the outdoors with functional and aesthetic outdoor kitchens. 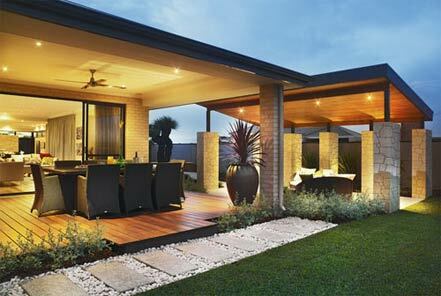 At Landscapes WA, we help nourish your idea for an outdoor entertaining space and provide you options for a kitchen customized perfectly to your needs. Outdoor fires add an inviting glow during chilly winter evenings and warm summer nights. With an outdoor fire to your landscape, you can make your backyard a natural gathering point for entertainment, socialisation and relaxation. A well-blended outdoor fire can enhance the beauty of your outdoor living area. 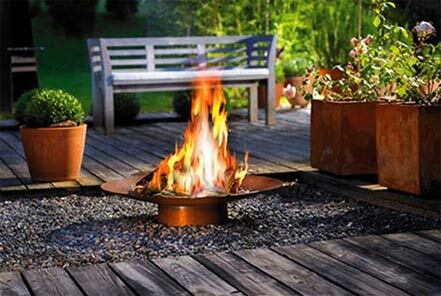 At Landscapes WA, we can design outdoor fires that you can not only enjoy while outside but also can be easily seen from inside of the house. 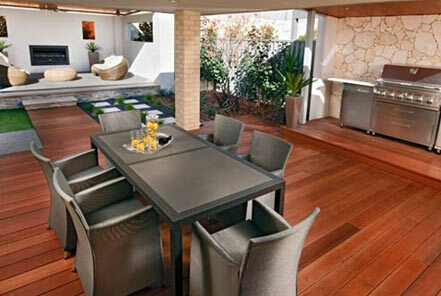 Timber decking can provide a natural extension of interior living spaces into the outdoors. Your deck can be a highly enjoyable outdoor entertaining or BBQ area or a sunny space to enjoy a cup of your favourite coffee. We invite you to take a peek at our gallery of completed projects. 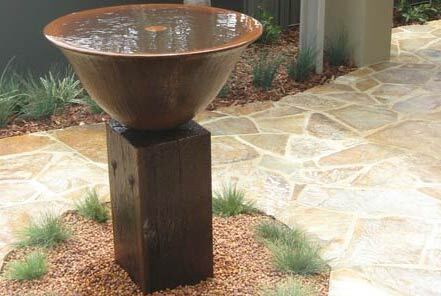 Looking for a water feature for the garden? Landscapes WA take pride in providing West Australian’s with water fountains, ponds, pumps, pond liners, water lighting & water ornaments. We can help you find the water feature you are looking for – be it stainless steel, glass or middle eastern stone for large or small commercial water features or traditional residential water features or water walls. 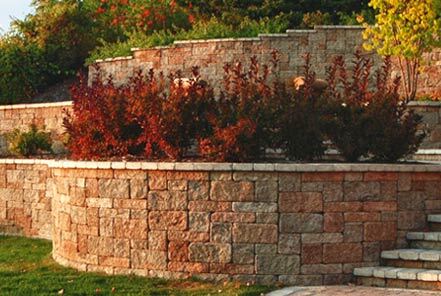 We can design and build any type of retaining walls for you that will offer smart design options for all outdoor areas of your home including garden edges, terraces and ponds. 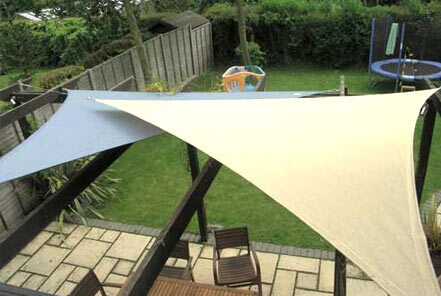 Enjoy unsurpassed sun protection along with a very distinctive appearance with Shade Sails. Shade sails are unique shade solution to outdoor spaces especially during the summer. They are triangular or rectangular heavy woven fabrics, mounted on steel posts or to your house, that can withstand weather conditions. At Landscapes WA, we can design customized shade sails to suit the needs of your property. Paving offers a great alternative for driveways, patios, garden paths and courtyards & alfresco areas. At Landscapes WA, we can handle any size paving job. We can supply & lay natural paving stone, sandstone pavers or granite, bluestone or basalt pavers – all available to suit your landscape paving job. 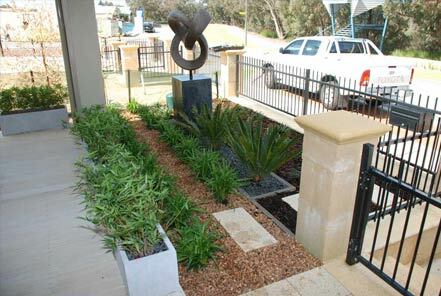 The tradesmen at Landscapes WA have the experience in all areas of landscape gardening, and maintain the highest standards of quality that sets us apart in the industry. 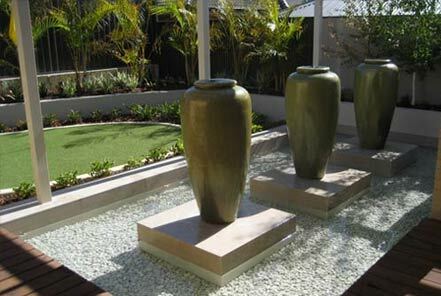 At Landscapes WA we ensure a finished product of excellence that you will be proud of. Call us today for a chat. We are domestic and commecial irrigation and reticulation specialists. 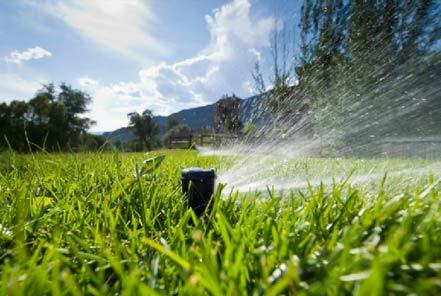 Landscapes WA can provide all your reticulation, irrigation & bore pumps requirements. Our design and installation solutions are designed to meet your budget. 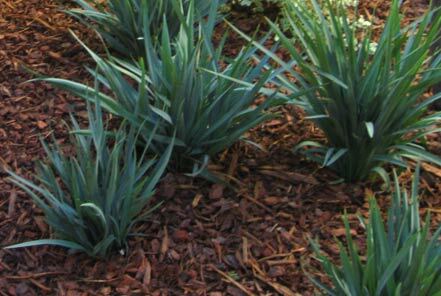 Mulching is one of the most important things a home owner can do for their garden. Every garden should be mulched and Landscapes WA can provide mulching services that will assist in maintaining soil moisture levels, improve soil structure and reduce erosion – while also reducing weeds. 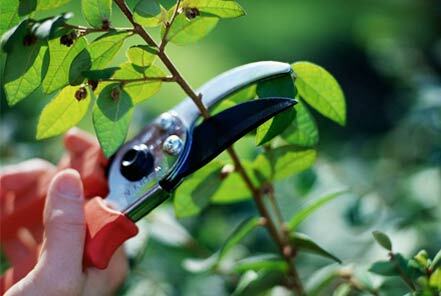 Pruning of tree limbs on a regularly scheduled basis will improve your tree health, control growth, and enhance fruiting, flowering, and overall appearance. Many people do their own tree trimming and basic care of their trees, but there are some instances when you are well advised to leave the care of your trees to a professional. 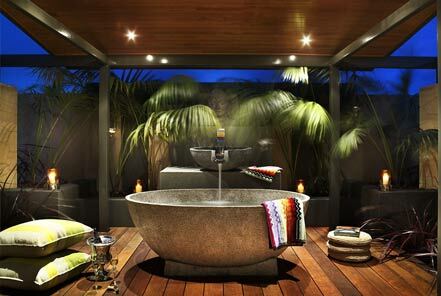 Landscapes WA is dedicated to providing high quality alfresco design and construction services for commercial, public, resort and residential projects. Professionally constructed alfresco areas provide a valuable addition to any home – and we can provide a creative and personal service to owners, and builders alike. We can help you plan the perfect fence, obtain the best materials at the best price and construct your fence using quality tools and workmanship. Whether it be a residential or commercial solution, we can provide & install quality and affordable fencing. Garden Pots and planter boxes are a great way display plants, create a feature and can be used in the garden to add interest and height. Garden pots are also a great way of allowing you to rotate plants from season to season. 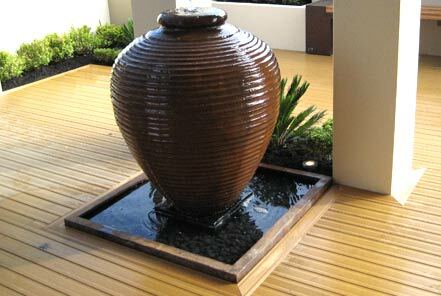 Landscapes WA provide many varieties of garden pots including terracotta, metal and classical style pots. 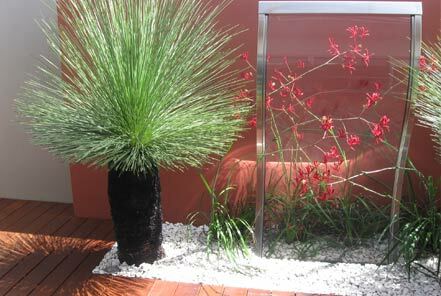 Landscapes WA can provide any garden requirements that can combine pots with plants, with passion and thoughtful finishing touches to create the perfect addition to your home and entertaining areas.